Make no mistake, setting up and organising a conference is a huge and lengthy task, and one which requires a serious amount of thought and planning. Whether your conference is a huge, expo-type experience, or a smaller, more intimate affair, there’s a wealth of different tasks and planning stages to bear in mind, which all come together to ensure that the day itself goes off without a hitch. 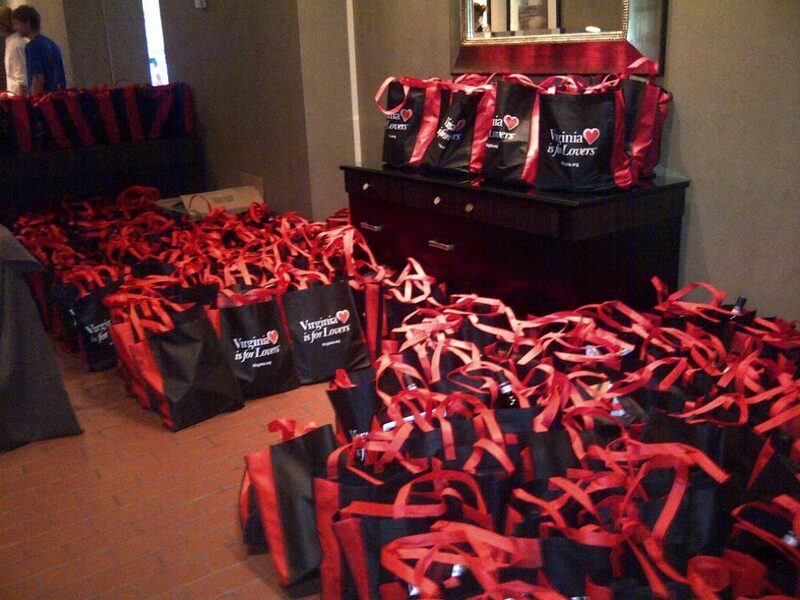 The mark of a professional conference or event planner is preparedness. Your strategies and approaches should be drawn up at least a year in advance - and preferably more - in order to make sure that that long list of wishes and plans you have in your head can come to fruition. Indeed, as any good event planner will tell you, there’s always something which is likely to change, go wrong, or spring up unexpected surprises along the way… and as such, knowing exactly where you’re at in your planning is absolutely essential. Unlike with parties, product launches, receptions, award ceremonies, or almost any other kind of events, conferences pose a genuinely broad set of challenges which need to be faced and overcome. Throw in venue planning, catering, decoration, security, social media campaigns, staffing, and post-event strategies and more, and it quickly becomes clear that organising a conference leaves you with a mountain of jobs to work through! While planning a conference may seem like a mammoth task (and it really is! ), you can make your job and the roles of those in your team considerably easier by laying out a step-by-step plan of tasks to tick off, which gets kick started way, way in advance of the big day itself. In this conference planning guide, we’re going to lay out our recommendations for planning stages which begin a full eighteen months before your conference date. Now, this might mean that your conference planning overlaps with the organisation of other events (something which can be particularly tricky for those organising annual conferences)... but trust us, you need all the time you can get if you want the going to be as smooth and comfortable as possible! Here at Ultimate Experience, we’ve been planning conferences and other large-scale events for a long time, and have picked up plenty of top tips and tricks along the way. Even we’re not immune to the last-minute rush and panic that comes as part and parcel of the event planner’s life, but overall, we reckon we’ve got the conference planning schedule down to a pretty fine art by now. So, without further ado, allow us to present to you the ultimate conference planning guide; we’re sure it’s going to come in handy, so read on and get ready to take some notes! ​It goes without saying that there’s a fairly long list of basics to cover before your conference planning can really get started properly. The chances are, you already have these sorted if you’re serious about going ahead with your event… but you’d be amazed by the number of events planners who get so stuck into the finer details, they manage to forget about the bare essentials. Deciding on a date should really be one of the very first things you do before you progress with any more conference details. At the very beginning, you might need to be a little flexible when it comes to exactly when your conference is to go ahead - this is due to the fact that you’ll need to ensure your preferred venue is available for booking, and your star speakers etc will be free to attend and do their thing.Once you’ve firmed up your date and times, you can start moving forward with pretty much everything else. Choosing a venue can be hard work. You have to bear in mind that your venue choice can’t solely be based on a building or location that you really like the look of; it’s also got to be available for your chosen date, have the right capacity for your intended number of delegates, and have all the correct AV facilities and catering capacities you’re looking for. Once you’ve found one that ticks all the right boxes, get it booked and get the deposit paid… you don’t want somebody else snapping it up in the meantime! Once you’ve found one that ticks all the right boxes, get it booked and get the deposit paid… you don’t want somebody else snapping it up in the meantime! The chances are, you already have a good idea about what your conference theme is going to be. However, even if you’ve got a concept roughly sketched out from the beginning, there’s no harm in building upon it during the earliest days of your conference planning, simply due to the fact that your overall themes will inform many of your other choices. For example, you can use your themes to begin constructing ideas regarding decoration, your venue choice, your catering, or the colours and fonts used for all your promotional material. Set up some moodboards and start gathering examples of images, tones, colours, and food ideas etc which fit your theme, and have them on hand when making thematic decisions further down the line. Here’s a set of three great tools you can use to make a moodboard - they really do help when it comes to nailing down your themes and developing your ideas! 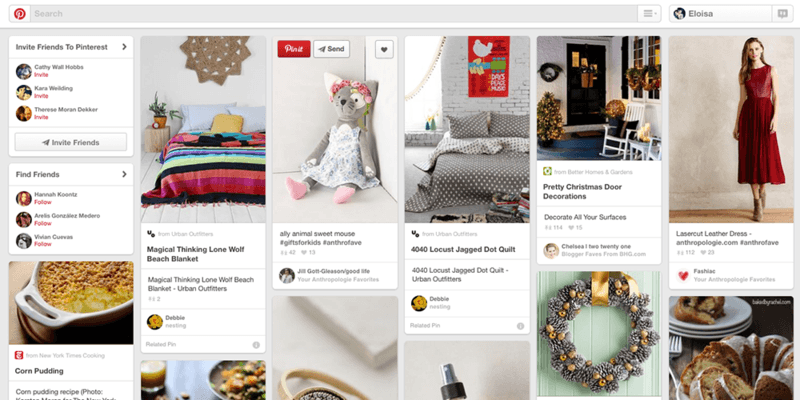 The chances are, you’re already well aware of Pinterest. It is, after all, the biggest moodboard tool out there. Easy and quick to use, it packs in countless images which can be categorised to help you with your inspirations. This is an iPad app which acts essentially as a scrapbook, allowing you to upload your own images while searching the hundreds of thousands of others. Perfect for developing themes. Unlike the others, this tool isn’t a free one (it costs $12 per month), but it is a great addition to your moodboarding arsenal. 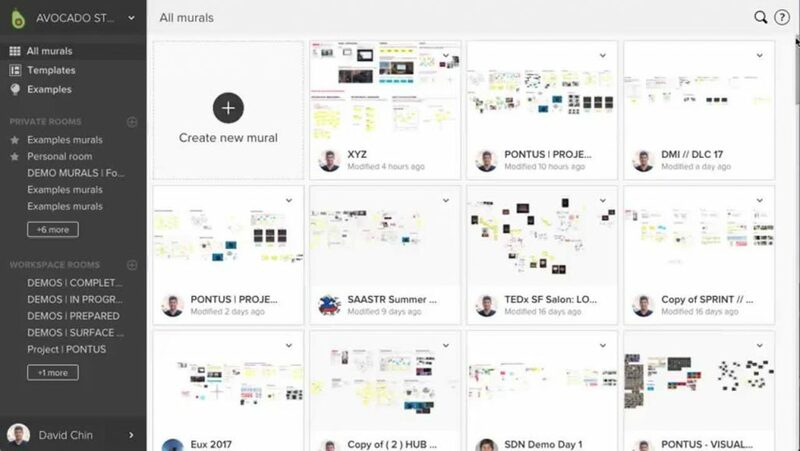 Designed primarily for teams, and with great interconnectivity, it’s sure to impress and lead to imaginative results. Obviously, there are plenty of other basics when it comes to conference planning which are far more specific and related to the precise nature of your conference and the aims and goals therein. No matter what kind of conference you’re planning, however, it really is never to early to lay the groundwork, and build a foundation on which to further develop your ideas. ​Exactly when you kick off your pre-event strategy is essentially up to you - you know the complexity level and scale of your conference far better than we do. However, we’d advise all event planners to start really taking action around a year and a half in advance, and setting up or following a timeline which works within that sort of time scale. Here, we’re going to start laying out actionable steps, each taking place at regular points in time leading up to your conference. 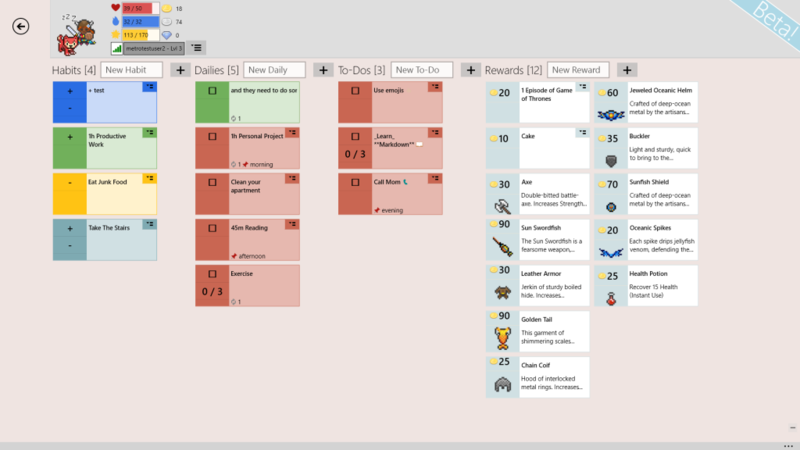 If you want (or if you feel your team could really benefit from some extra motivation) you could try setting up one of many fantastic gamified to-do lists and task managers we’ve selected here. Lots of event planners we know find these tools massively helpful, as they prioritise your tasks and help you make the most out of the satisfaction that comes with ticking each one off! Sure, it’s a bit lacking on the gamified aspect, but Google Tasks more than makes up for that with its elegance and straightforwardness. 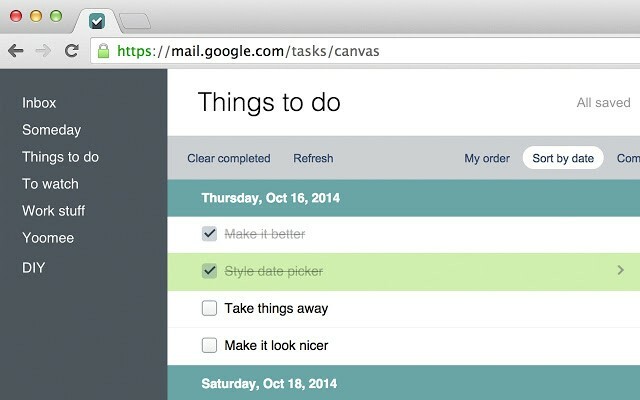 Tasks can be created, given descriptions, and then allocated sub-tasks, meaning you can be really thorough in getting everything done that needs doing. Inspired, supposedly, by the to-do lists of President Eisenhower, this tool is a gorgeous one to use thanks to its attractive colour scheme, simple layout, and overall user-friendliness. It’s based around prioritising tasks, meaning those which are the most important are consistently highlighted and calling out for completion. 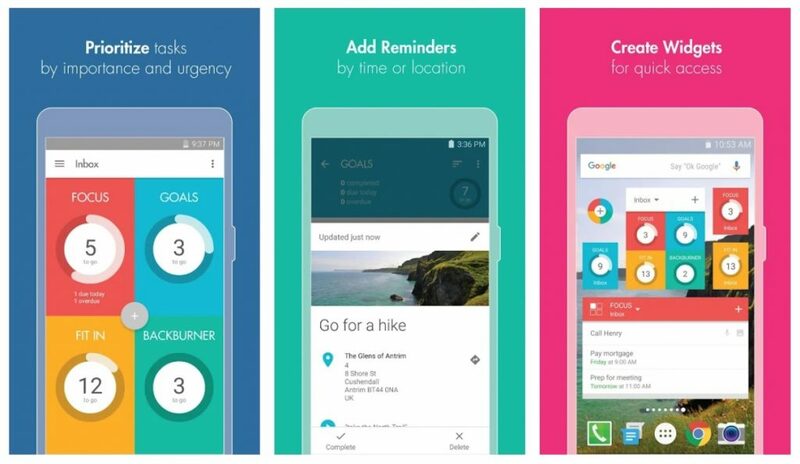 This is the app which really takes gamification of task allocation to new heights. The first thing you’re asked to do? Create a character, who you will motivate you - RPG style - to complete your tasks. 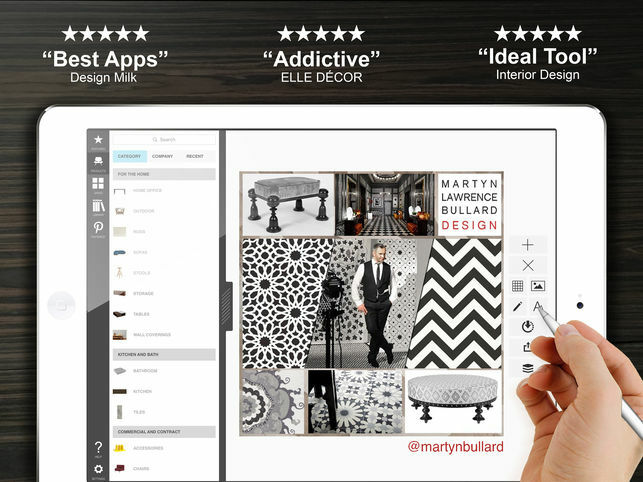 As fun as it is efficient, this app is proving a real hit with hardworking professional teams. It’s likely that, as a professional conference planner, you’ll have plenty of goals and objectives swimming around your head. Whether all of those goals will end up being achieved is almost beside the point… because it’s never a bad thing to aim high, and start off your pre-event strategy with a wealth of ideas. Separate your list of goals and objectives between ‘essentials’ and ‘desirables’. This way, you’ll be able to prioritise certain tasks over others, and ensure that you cover as much as possible in your planning. Once you’ve got a clear idea of what you want to do, and how realistic each objective is as regards achievability, everything else should start slotting into place. Event attendees, star speakers, and corporate guests are busy people, and diaries and calendars fill up quickly. Eighteen months ahead of the big day may seem like a long time in advance for sending out guest lists, but it’s always better to be safe than sorry. What’s more, there’ll be plenty of opportunity to firm up appearances and deal with any cancellations which may arise further down the line. Yes, we know - it’s highly likely that your schedule is going to be moved around a heck of a lot as the conference draws nearer. However, you should see your master schedule as a blueprint, a sketch, and a foundation onto which you can build your ideal conference. At this point, it’s likely there’ll be a lot of blank spaces in your master schedule… but those are important, too, as there are only 24 hours in a day, and you’ll need to know which hours need filling the closer you get to the event itself. No matter what kind of event you’re planning, your team need to know exactly what their roles are when it comes to its creation. Undefined roles lead to team members struggling to prioritise their precious time, and can lead to boxes being left unticked, or confusion over who is doing what. You know your team a whole lot better than we do, so make sure everyone knows what is expected of them, and the deadlines they have to work towards! It’s likely that your team members will be highly aware of their own strengths and weaknesses, based on their experience and their previous successes and struggles. A good event planner will always listen to what they have to say, and take their opinions into account. Alongside the previous suggestion, it’s also important for your team members to evaluate each other, and provide feedback on each other’s skills and strengths. Your team are probably used to working together, and so will have insights into how the team works best. Away days based on games and activities are often organised and set up to achieve exactly the aims we’re talking about. They’ll highlight the natural leaders in your team, as well as those better suited to analytic, creative, or supportive roles. It could be that there are members of your team who are really enthusiastic to take on particular roles. Take this enthusiasm into account; there’s nothing worse than assign a role to someone who will only take it on begrudgingly! More top tips can be found in this blog - be sure to read up on assigning roles to team members, as it’s vital to the success of your conference. ​Now that your basics are covered, your master plan has started to take shape, and everyone knows what they need to be cracking on with, you can start putting together the building blocks that will lead to your conference’s success. Here’s what needs to be done. You should know how many tickets you need to sell in order to make your event worthwhile and profitable. While it’s still early days, it’s essential your promotional efforts kick off over a year in advance, so your prospective attendees can start making the date in next year’s diary. Start releasing some teasers, take out an ad in an industry paper or magazine, and set up a webpage with (at the bare minimum) a placeholder featuring the name, date, and location of your event. You’ll also want to have a hashtag established by this point - something short, sweet, and featuring the name of your conference and the year should do the trick. Keep it Short Nobody can be bothered to type up or search for long-winded hashtags, and short, snappy ones stay in your memory more effectively. If you can abbreviate your conference name and add a year - for example #IATEFL2019 is far easier to use that #internationalassociationofteachersofenglishasaforeignlanguage2019. Obviously. Make Sure It’s Unique This really goes without saying, and can be checked by simply doing a quick search on Twitter or Instagram. Use Capitalisation If you’re not using an acronym, capitalising the words in your hashtag make it easier to read. There’s no necessity for this, but it does add a lot to the clarity of your tag. ​Promotion at this stage is all about drip-feeding nuggets of information and excitement out to your target audience, building intrigue on social media, and nudging people towards buying up those early-bird tickets. 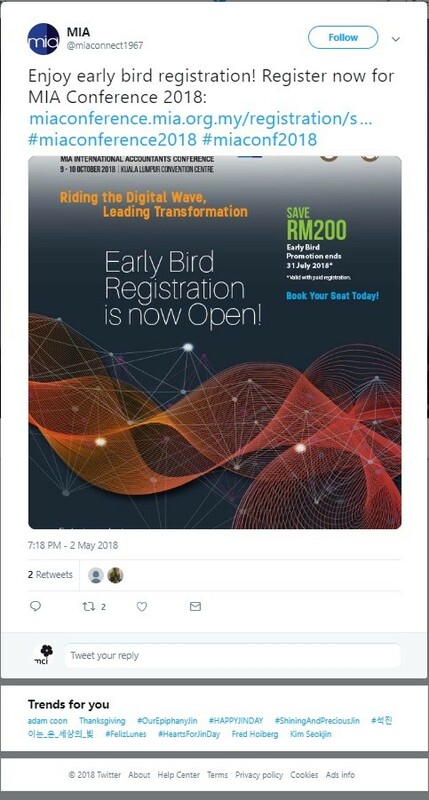 It’s really never too early to get in touch with those on your mailing list, and prompting them to get their hands on a ticket for your conference. Those who have attended - and enjoyed - your past events should be easily converted into cheerleaders and influencers for your next one, so give them some juicy tidbits to share on social media among their network. Your keynote speakers will be a major draw to your conference. Once you’ve whittled down a shortlist of who you want to appear, it’s high time to get in touch and make sure they’re signed up for the big event. Ask them to provide promotional pictures, a biography, or any video clips you can use for your PR drive, and make sure you include links to their website or publishers etc via your social media accounts… with your hashtag and a link to your ticketing page plastered all over them, of course! ​OK - things are started to hot up. You’ve got one calendar year to get everything sorted - seems like ages, right? Well, that year is going to fly past, and there’s plenty to get stuck into! Consistency is really important when it comes to event promotion and planning in general. This is the point when you should have an established ‘look’ and ‘feel’ for all your promotional and PR efforts - a colour palette, a font, a web page, and a series of short pieces of copy which will draw in your delegates and target audience. These design elements should be used across all platforms; from flyers to social media accounts, and from blogs to guest posts on industry sites. You’re bound to have some people, influencers, corporate figures who you’ll want to make sure show their faces at your conference. Draw up your guest list a year in advance to avoid any disappointment, and keep them updated with how your conference is coming along. What would a conference be without papers being presented from industry professionals and bright sparks from across the country, or indeed, from across the globe? One year in advance seems like a sensible time to send out your call for submissions, either through your own channels or via dedicated conference web pages and magazines such as www.allconferences.com. This way, you’ll have plenty of time to receive quality submissions, leaf through them, and select the speakers you wish to invite. It’s not uncommon for hiccups to occur during the event planning process. In fact, it would be pretty uncommon (if not completely unheard of) for the going to be completely smooth all the way. At the one year in advance mark, make sure you go through your contracts, and double check that everything is going ahead as planned. This means everything from your venue hire to your insurance, and from your hired equipment to your security, and everything else in between. It might be a bit of a slog to go through it all, but again, it’s better to be safe than sorry! On the same note, this is the perfect chance to check in with your keynote and plenary speakers to make sure they’re still available and up to speed, and to reach out to sponsors to make sure they’ve got your date firmly in their diaries. Your brochure is going to be a key element in both the event itself as well as in your PR drive. Get your creative team to come up with something eye-catching, informative, and perfectly aligned to your thematic components. It won’t need to be completed yet, but it’s essential that work on this begins with plenty of time to move things around if necessary. It may be that your call for papers deadline hasn’t passed yet, but it’s fair to say that your best submissions will probably have come in by now (mainly due to the fact that the best papers are written by those who like to get things done nice and early!). Get in touch with the first flush of speakers you’d like to get involved, and get them noted down in your timetable. By now, you should have arranged all your keynote and plenary speakers, and should have established which seminars, social hours, meals, and panels etc you’ll be hosting on the day. At this point, you want to be finalising your running order (again, it might change further down the line), so you know more or less what will be happening and when during your event. It’s also the time to give some real focus to things like activities, games, and competitions. It’s all too easy to leave the ‘fun’ aspect of your conference to the last minute, but these enjoyable and dynamic aspects of your event are just as important as the talks and presentations. Start booking entertainers, organising the activities and shows, and get them down in your master timetable. Making sure you have the right sponsors for your conference is vital for your funding, and is also an important aspect of your overall event running order and the atmosphere on the day. Now’s the time to chase up on late replies, making sure that deals and closed and contracts are signed, and ensuring everyone’s on the same page when it comes to your themes and wishes. The big event is looming ever closer, and now’s the time to start really driving your promotional efforts in the right direction. Boost your social media presence, start sharing more than mere teasers and bolstering the information you’re spreading online, and make sure your message is being heard by all the right people. This really is something you’ll have to do at regular intervals from this point on. Take a look at your budget so far - are you over budget, and need to rein things in a bit? Are you under budget, and have some breathing room to focus on those ‘desirables’ you noted right at the start of your planning period? Make sure you’re keeping track of your spending, and have enough of a buffer for any surprises further down the line. 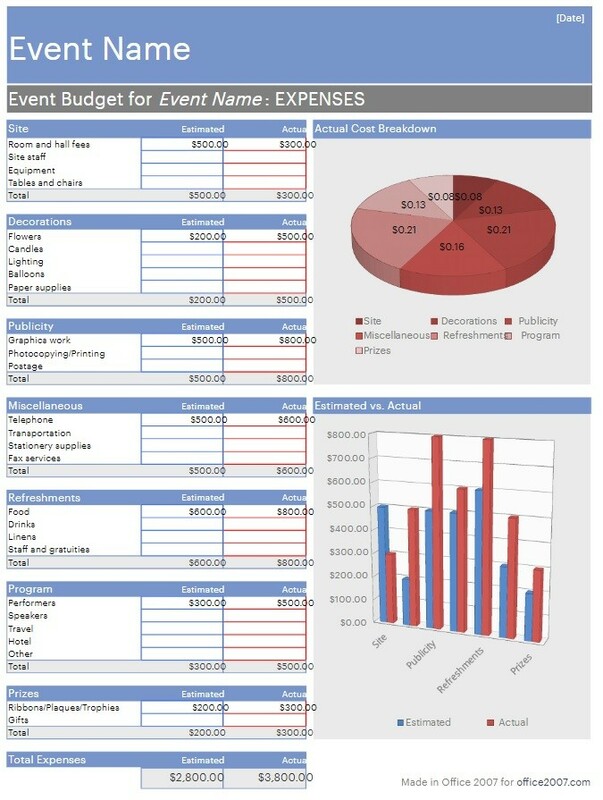 Clean, neat, and brilliantly straightforward, Eventform’s Excel spreadsheet is just the ticket for making sure all your finances are in order for your event. With separate tabs for outgoings and incomings - both of which feed into a central dashboard - it’s a superb free template that can handle even complex event budgets with ease. It’s not the most beautiful template out there, but it does exactly what it says on the tin. This template from Bonjour Events has been specifically made for conferences, meaning there’s probably not a whole lot of customisation needed before you get stuck in. Who could ask for more? Nicely arranged as a one-page template, this example probably isn’t the best for seriously complex conference budgets. 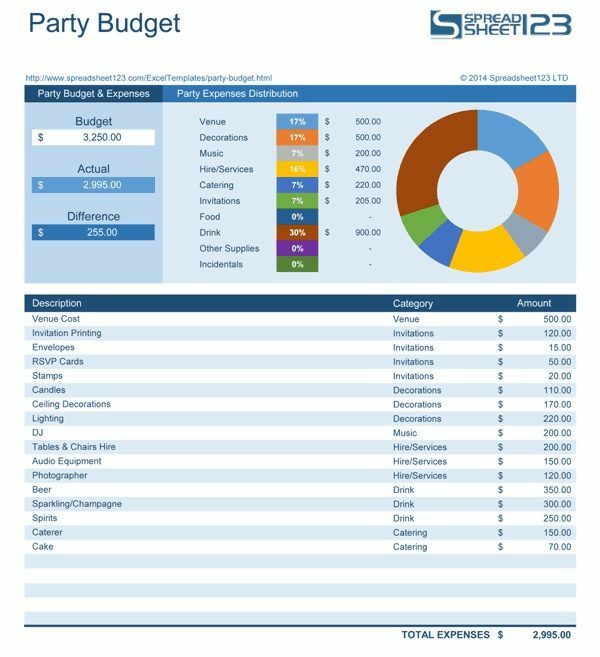 However, it does work very well for individual team members working on projects within the conference budget (for example, the budgeting for the venue, lights, and AV equipment etc), and it’s easily printable, too. Let’s take a quick break from our timeline to look in a bit more depth at what has become one of the most essential aspects of conference planning: using social media to your advantage. There’s no doubt about the fact that social media has become the tool for all kinds of promotional activities, ranging from the events industry to pretty much all others you can think of. While it’s almost unthinkable to even imagine conference planning or promotion in the 21st century without using social media, all too many event planners continue to not use this tool to its full potential. The grand daddy of all the social media networks, Facebook is almost guaranteed to be one of the main points of communication for all your target audience, regardless of their age, background, or level of professionalism - it really is that widespread and ubiquitous. Use Facebook for spreading promotional material 3-4 times per week, and upload blogs, video content, and short updates via this platform. Facebook’s promotional add-ons are highly impressive, and get better with each passing year. For a very small fee, you can seriously boost your online reach via this platform, and be selective in the criteria you want to target. The best part? Their guidelines for those looking to advertise via Facebook are nicely laid out and easy to understand. You can view some of their instructional material here. Perfect for boosting the presence of your hashtag, linking to your keynote speakers, engaging in discussions, and sharing video and picture content, Twitter is all about providing your network (and your network’s networks) with a steady stream of updates, thoughts, questions, and targeted content. Use multiple times per day to keep engagement high and attract followers you can convert to ticket buyers. Instagram is all about sharing photo and video content. While you might not feel this particularly necessary for more professional-oriented conference planning, it can be a highly useful tool for putting across just how great your conference is going to be. Update your Instagram account with new images and video (using shots from previous events is a great idea, as is sharing more candid shots of you and your team working behind the scenes) every other day or so, and let your followers get a real sense of the vibe you’re trying to create. Don’t forget those all-important hashtags! Decidedly more grown up and professional, LinkedIn is a great place to share more in-depth insights, links, and blogs with your network. Use it regularly to post longer stories, share professional and industry articles, and create intrigue about your speakers. 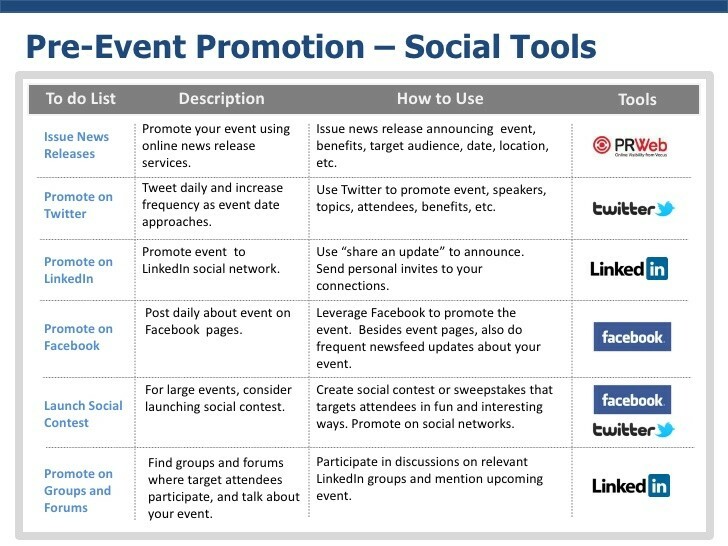 Want to take your promotional efforts further on social media? Here are some golden pieces of advice to pay close attention to! Social media networks love consistency. Post updates at regular intervals, and hopefully, you’ll be able to build up a real sense of intrigue and anticipation between each one. Make sure that your thematic concepts and hashtags etc are all present and correct, and increase the volume and intensity steadily as your event approaches. The clue’s in the name: social networks. You can really boost your online presence and social media reach simply by ensuring you respond to comments and questions on your posts, or simply by saying thank you if someone says something nice about your photos or blogs. A little really does go a long way! While blogs and updates etc are all very well, today’s tech-savvy audiences respond best to content which really grabs their attention. Videos and photos are best of all at doing this, so make sure you aren’t just posting dry blocks of text - break it up with some real dynamic material for them to get their teeth into! All the big social media sites allow you to upgrade your presence and reach via analytics tools. These will show you everything from how many people (not necessarily those in your contacts) view your posts, what the best time of day to post is, and the audience criteria you get the best response from… among many other things. Take full advantage of these tools, as they’ll unlock a whole world of viral potential for your campaign. If you aren’t sure which analytics packages or software to go with, we’ve picked out our three favourites for you to choose from. All of these are ideal for one or more of the ‘big four’ social media sites, and are sure to help you gain the insight you need for success. 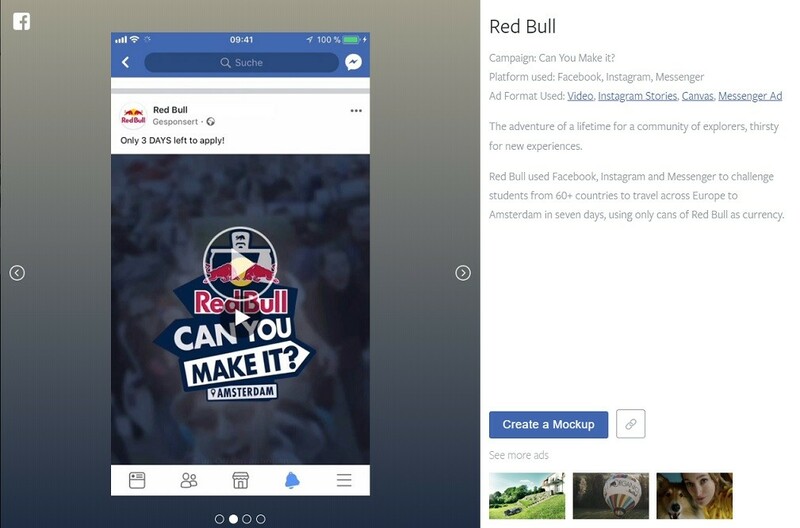 Best for: Brands managing multiple social media profiles at once. This integrated and extremely attractive platform comfortably compiles all your social media analytics in one place, and makes it very easy to see how your conference is performing across different platforms. If you’re invested in using Instagram as a primary tool for your social media efforts, then iconosquare really does perform very highly indeed. As well as insights into your regular videos and photo content, it will also tell you how well your Insta Stories are being received by your networks, and also how well your influencers (if you’re using them) are performing, too. Google Analytics isn’t actually a social media analytics tool, but despite this, it’s actually one of the best ways to track your social media campaigns, and even stay on top of your ROI as well. It’s likely you already use GA for your website, as most companies now make use of it for monitoring traffic. However, if you weren’t aware of its potential for creating reports for social media, it’s high time you checked out those functions. Plus, it’s free! You want to use social media to not merely boost your presence and reach, but also to drive the public towards your ticketing sites, where you can turn intrigue and interest into sales. Make sure all of your posts feature links to your website or ticketing service in order to boost your ROI and sales. It’s time to polish up your program, set down in stone your running order, and get it uploaded onto your site and printed in your brochures (which can start being posted out at this point, too). Make sure all your speakers and entertainment options are confirmed, and feel the rush of satisfaction that comes with ticking off this all-important box in your to-do list. It’s probably around this point that your ticket sales will start spiking, thanks to all the effort you’ve put into your promotional drives online. As such, it’s really important to have a proper registration reporting system in place, as this will not only keep track of ticket sales (and will show you how your confirmed attendees are finding out about your event, and where they’re coming from), it will also help you chase up leads and sell even more tickets for the day itself. When it comes to tried and tested registration systems which really make a difference, Bizzabo regular comes at the top of the tree. Cloud based, efficient, and designed primarily for conference and event organisers, it’s got everything you need to keep track of all your tickets, registrations, and more besides. This ticketing solution and registration system has been constructed with events of all sizes in mind. It features plenty of customisable options, sure to provide the flexibility and efficiency you need. If you’re organising a smaller-scale event, then Corsizio might be the ideal solution for you. Working on all major platforms, and designed to keep track of registrations and manage attendees, it’s a user-friendly system which is perfect for more intimate conferences or workshops. Really? Four months in advance? Well, they don’t necessarily need to be completely compiled and packaged by this point, but you will need to know exactly what’s going in them… which often means ordering custom items in, and getting all the right freebies from your sponsors. If you want to pack them up in your swag bags well in advance, don’t hesitate to do so - it’s a surprisingly time-consuming job which all too many conference planners leave to the last minute, and wish they’d sorted out months before! We mentioned at the very start of this guide the importance of making sure your team know their roles thoroughly through the planning process. The same goes for the ‘on-site’ roles for the conference itself. The sooner you assign roles for when the actual day rolls around, the better prepared you’ll all be for the event. Everyone should know their function, their station, and all the relevant information for making the day an absolute success. Being prepared for your event involves making sure you plan for all eventualities. We can’t stress the importance of risk assessment and security procedures enough, and while it’s likely your insurers will be on your back to complete all the necessary checks, it’s so much more than a mundane task needing to be completed: it’s essential for the success of your conference. Things do - and probably will - go wrong in some way or another. 99.9% of the time, these mishaps cause only minor issues… but you need to have a Plan B, C, and D set up for that 0.1% of occurrences. Do all you can to ensure systems are in place to minimise any issues that might arise, and to guarantee the safety, wellbeing, and happiness of your attendees. # Is everybody clear on who will be responsible for safety matters? It probably isn’t enough to have your whole team provided with a vague idea of health and safety - you’ll need at least one responsible member with a deeper knowledge and idea of what’s going on in this regard. # Have the correct facilities been implemented? This can be something as simple and essential as ensuring there are enough fire extinguishers, or something more complex and site-specific. # Have possible accidents or emergencies been planned for? Your risk assessment should involve projections of potential emergencies, and a few ‘worst case scenarios’ too. It’s not always much fun writing these up, but you’ll need to know what to do if they occur. # Is an overall safety plan in place? Again, this could be something basic like having designated fire exits, or something based on the actual nature of your conference and venue. # Have you gathered information regarding whether suitable contractors have been selected? Good contractors will always have a health and safety document ready for you to see, and should have no problem answering any such related questions. > Is there an evacuation procedure in place? > Are measures in place to cope with entering and exiting the venue when at full capacity? > Are escape routes clearly signposted? > Are there handrails on the stairs? > Is the safety equipment subject to regular testing? A lot of these questions (and the others on your list) should be easily answered by the venue managers. 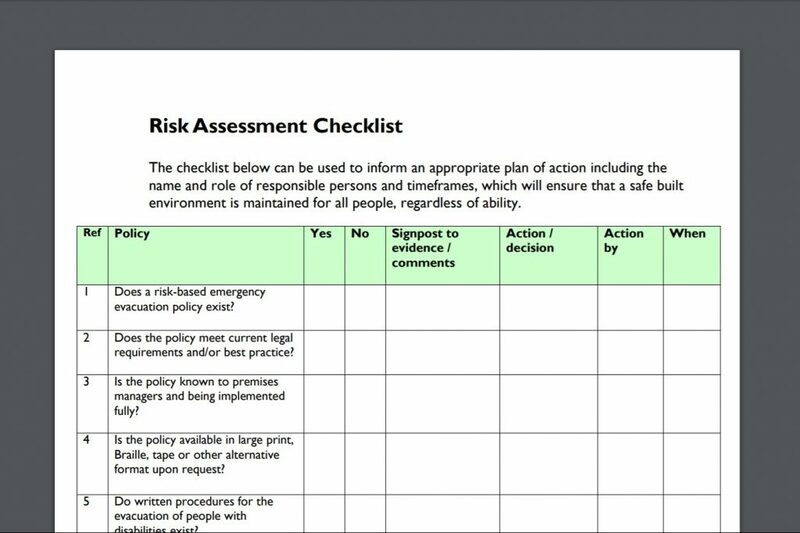 Make sure you take the necessary time with your risk assessment checklist, as it can end up making a significant difference! It’s likely you’ve had catering on your mind for some time now, but this really is the point to make sure that your caterers have a pretty good idea regarding how many attendees they’re cooking for, and that they know how much equipment to bring with them on the day. You’ll also need to let them know the order or events, so they can arrange a schedule that works with your timetable. OK - it’s time to really get a shift on, and make sure that as much as possible is in place and organised, in order to make sure things go off without a hitch on the day. Now’s the time to unleash the big guns on social media, and start drumming up some real anticipation online. Release the best videos and send them across social media, reveal any last-minute ‘star guest’ surprises, and start letting people know about social media competitions (Instagram contests, filmmaking prizes, etc) they can partake in on the day. If you have a handful of tickets left over, make a big deal out of selling whatever’s remaining before it’s too late! No event planning team is perfect, and it’s likely that there have been a couple of boxes left unticked along the way, or that some things haven’t quite gone to plan. That’s fine - you still have a bit of time to rectify everything. In this week, you can draw up a list of ‘last minute actionables’ which need addressing as quickly as possible. Delegate to the best people on your team, and pull together to get things done before it really is too late! Hopefully, your venue and the staff who work there already have a full rundown of what you’ll be needing for your conference. However, if possible, it’s always a good idea to arrange a visit in person to ask or answer any questions either your team or theirs might have. Plus, you’ll probably be needing a morning out of the office by this point, too, so any excuse to get out will be appreciated! So, it’s the day before your conference is due to be held. It’s likely that your creative and decorating teams are working hell for leather, trying to get everything set up in time. While there’s no need to head down there and micromanage everything they’re doing (well, only you can really be the judge of that), your presence, advice, and support might make a big difference. What’s more, it’s a good idea for you to see the conference venue set up and ready before any of the delegates arrive, as this will allow you and your team to do one last walk-through, and envision how, when, and where everything is going to take place. Your conference venue is going to a hive of activity before even the first guests have started to arrive. You’ll be up early, clipboard at the ready, making sure all the deliveries coming in on the day are present and correct. Once you’re satisfied that everything has arrived as it should, your sponsors have set about getting their stands ready, the catering team have everything they need, and the AV setup has been given a test run… it’s time to take your events team and hired staff for the day off to a private room, where you can deliver a decent pep talk, give them all the instructions they need, and answer any questions they might have. Make sure morale is sky-high, and everyone is ready for the long (but rewarding) day ahead! It’s possible you won’t have time for paperwork before the event itself starts - it all comes down to how active and involved you are during the morning. If you do have a spare hour, it’s well worth sitting down with your invoices, and spending some time reviewing them and getting them in order. Suppliers, staff, and everyone else involved highly appreciate swift payments… and getting this all sorted really helps if you want to book them for your next big event. Sure, it’s not the most glamorous part of the job, but it really does make a difference in the long run! Want your pre-event strategy to do justice to your event plans? Then be sure to avoid these typical mistakes! We know, we know… it’s sometimes pretty difficult (or totally impossible) to stay within budget when you’re organising something as big and multifaceted as a conference. Most experienced conference planners will ensure they have a 10-15% buffer in place, just to cover anything which ends up being a bit pricier than anticipated, and we’d highly recommend doing the same. The main way to stay on top of your budget is to be really meticulous with noting down every single expenditure, and being thorough with your budget reviews (which you should be doing about twice per month as you get closer to the event date). This way, you can keep an eye on all your outgoings, and you’ll have time to think of ways to pull back on your spending if necessary. Don’t get us wrong - conferences need to look and feel great, and decoration, catering, entertainment and the overall ambience of the event are all key factors to its success. However, with all that style needs to come substance; make sure that your schedule is packed full of fascinating things which add real value to your event. Prettiness and spectacle means little if there’s not a whole lot for your attendees to get their teeth into! A lot of conference planners spend months setting up plenaries, talks, and panels… but forget that their attendees don’t just come to conferences to attend presentations, they want to get involved and have fun, too. There are hundreds of ways to boost attendee engagement and enjoyment levels, from simple competitions (such as hashtag contests involving photos, poems, short films and more) to interactive workshops such as painting sessions, cupcake decorating, or whatever else fits with your theme! These are the kinds of things which end up going viral on social media, and ensure there are plenty of smiles and lots of laughter throughout the conference hall. 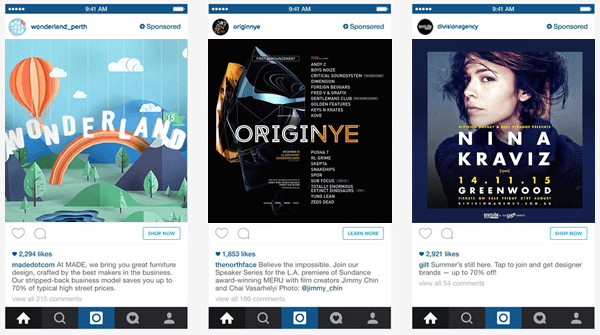 Neil Patel’s blog has some great ideas and useful stats regarding the effectiveness and popularity of Instagram contests. While the thrust of his article isn’t based on conference competitions happening in real time, the majority of his points absolutely ring true for increasing engagement among event attendees. If your budget allows it, there are also some fantastic tech-based ideas for really boosting attendee engagement during your conference. Check out the following popular additions which conference delegates are absolutely lapping up across the country! Having a big screen at your event is nothing particularly new. 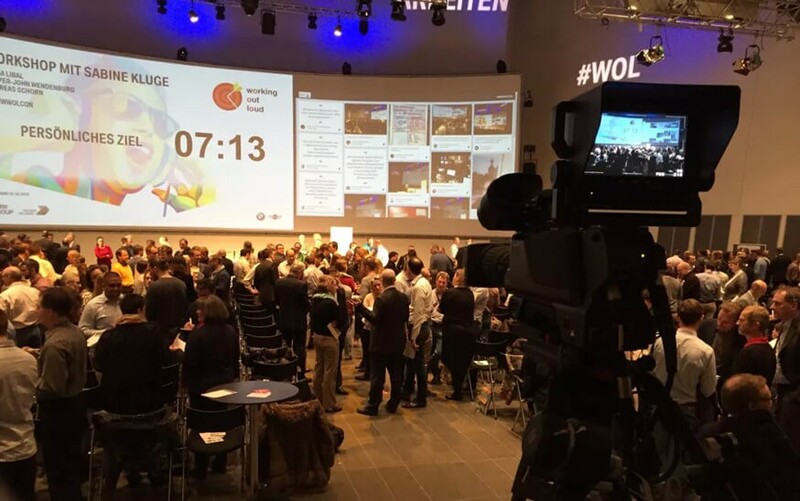 However, conferences up and down the country are including big screens acting as live social media walls, which allow attendees to track all the photos and other content being shared by anyone using the event hashtag. These are especially good for social media competitions, as you might imagine. There’s no doubt about the fact that AR and VR are huge in the events industry right now, and they both have the ability to add a real sense of dynamism and cutting-edge technology to any conference. Use them as part of the presentations, or simply as a way of injecting a touch of the fun and unexpected into your event, and your attendees will be tweeting about their tech-based encounters for months! This Forbes article lays out some of the benefits nicely, should you be interested in getting in on this trend. OK - so this is the polar opposite of a tech-based addition to an event, but nonetheless, it’s an important trend which is really taking off in the industry. In a world which is increasingly digitised and plugged in, and in industries where we spend so much of our time glued to our screens, offering unplugged, offline, or off-grid spaces at your conference can be a great idea… and it’s one which is proving increasingly popular. In fact, there are whole unplugged, phone-free, WiFi free conferences out there, offering a real chance for delegates to engage with each other free from their devices! When planning any kind of event, you need to ensure you’re being as inclusive as possible. Not everyone who comes to your conference is going to be just like you and your team, and it’s really important to be broad-minded and forward-thinking when it comes to cultural sensitivity and inclusiveness. This can be something as simple as making sure there are plenty of (worthy) alcohol-free drinks on offer alongside your signature conference cocktails and wine bar, or having halal options or vegetarian and vegan options with your catering. With a bit of thought, this isn’t a difficult thing to achieve… but for those affected by such sensitivities, it can mean the world. There needs to be some breaks in your schedule during your conference, otherwise your attendees will find themselves in a flurry to get from one workshop or plenary to the next. What you don’t want, however, is to have too many periods where there’s nothing going on at all. Keep your attendees busy, make sure there’s always something for them to do, and keep your break times of a reasonable length. Right - your conference is underway, the venue has filled up, and the first keynote speakers are about to take the stage. Surely it’s time to for the planning team to sit back, relax, and have a drink by now? Unfortunately not - there’s still plenty to be done, and there won’t be any opportunities for kicking back just yet. Hopefully, everything is going to go just fine while your conference is happening. However, just in case things don’t go as plan, or some kind of issue emerges which will affect the running order or the conference as a whole, make sure you’ve memorised your ‘Plan B’ and have some kind of print-out to hand you and your team can go through. There’s no such thing as too much caution when you’re dealing with large groups of public! Your conference is going to be the perfect opportunity to gather promotional material for future events (and if your conference is an annual one, you probably would have already begun planning the next one! ), so get busy with your camera and video recording equipment, and head out onto the conference floor to get some great shots of the proceedings. If you want, you can even record some quick ‘vox pop’ style interviews with delegates and attendees, getting real feedback and opinions from them while they’re enjoying your event - such things prove absolutely golden when it comes to making video content for your social media feed! Your hashtag will (hopefully) be going haywire during your conference, and it’s really important you keep an eye on what people are saying on social media, as well as engaging with your own content during the day via your regular platforms. You want your conference to be trending online, so regularly provide updates for your networks, and tantalise those who couldn’t make it with juicy details about what’s going down on the day. Who knows, maybe they’ll end up being your early bird ticket buyers next time around! As mentioned, your hashtag will really come into its own during the conference (another reason to ensure it’s plastered across the venue and on all your promotional material), and on the day, you can use it to have some real fun and increase attendee engagement across the board. Set up competitions and games for both attendees and those in your network who couldn’t come, and get people to submit photos, videos, comments, haikus, caption competitions, and whatever else comes into your mind throughout the day. Naturally, you can give away small prizes for the winners who are at the event, and you can also gather details for your mailing list from those who aren’t present. Once your event is over, you’ll probably be ready to put your feet up, crack open a bottle of Champagne, and enjoy a relaxing evening with your team, recounting stories of the previous day or two and toasting your success. There’s nothing wrong with this - and in fact, it’s probably a vital way to keep team spirits high and ensure that the next day back at the office starts the right way - but don’t for a moment think you’ll be able to put this conference behind you altogether… as there’s still plenty of work to be done. Your post-event strategy isn’t going to be quite as drawn-out or time-consuming as the pre-event one, but it still contains seriously important tasks which absolutely need your full attention. If you want to make sure your ROI is as high as possible, and your future events benefit from the ups and learn from the downs of the conference you’ve just held, you’ll need to pay attention to our list of ‘next day essentials’. Read on to find out more! While you can certainly give yourself and your team a massive pat on the back for all your hard work in putting this conference together, you haven’t done it alone. As such, sending out thank you notes or customised emails is an important way of showing your gratitude to those who you’ve worked with along the way. Contractors really do remember the clients who go out of their way to say thank you, and building up relationships with such professionals is absolutely key to ongoing event planning success. Put together your best videos and photos from the event (being sure to save some for future ‘exclusives’), and make sure they get shared on your social media accounts. Those who attended will love sharing them among their own networks, and those who couldn’t make it this time will be even more resolved to get those early bird tickets next year! Getting feedback from your attendees and delegates is massively important for your post-event strategy. There are a whole number of ways you can do this - back in the old days, it was very much a paper-based system, with questionnaires being handed out to delegates as they leave the conference hall. Nowadays, online questionnaires are a whole lot quicker and simpler, and can be analysed quickly with feedback analytics tools. Spend some real time going through the feedback data, and make sure you find an hour or two to present your findings to your team. Pay particular attention to the negative feedback - sure, it’s not always fun to read people’s gripes and complaints, but the negative points are the ones which will help you perfect your conference the next time around. If you’d like to find out more about different ways of gathering feedback, this blog from getfeedback.com has some great points to bear in mind. It’s not just the attendees you need to listen to when it comes to feedback, either. Your team members and hired staff for the event will all have their own take on how well the conference went, and are sure to have some pointers regarding what worked brilliant, and what could be improved for the future. There are dozens, if not hundreds, of great analytics tools out there, which will help you gain a clearer understanding of how well your conference went down in regards to everything from attendee engagement, to social media success, to ROI, profit and loss, and overall levels of satisfaction. We don’t have time or space here to go through all of them, but your post-event strategy absolutely must involve some serious time spent looking through as much data as possible regarding levels of achievement and ROI. If your conference is to become an annual or regular event, it’s absolutely vital that you’re constantly seeking ways to improve, innovate, and generally take the conference to new heights each time you plan it. That might mean working harder on your social media campaign. It might be all about cutting costs in order to make the profits go further. It might be something as simple as getting rid of your current caterers, and calling in someone completely different. Be honest - ruthlessly honest - with yourself, and look at where the room for improvement lies. If you’ve followed our timetable, then the day after your conference should fall about six months into the planning time for next year’s event. That gives you ample time to apply everything you’ve learned into your master plan for the following big event… which will then feed into the next, and the next, and the next. A good conference organiser never stops learning, never stops aiming higher, and never tires of looking out for the next big idea. With our Ultimate Conference Planning Guide, that hopefully just got a whole lot easier!